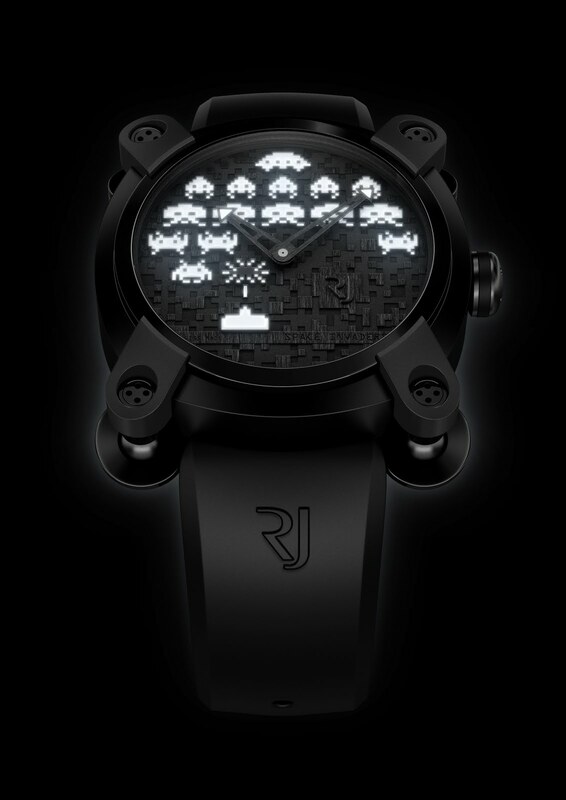 RJ-Romain Jerome, in connivance with TAITO Corporation (TAITO) is becoming an accomplice of this incursion by agreeing to create two 78-piece limited series in honour of these SPACE INVADERS. Reality at last surpasses fiction. 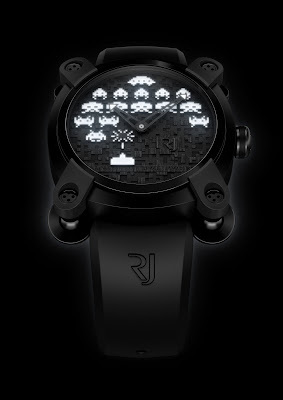 Manuel Emch, CEO of RJ-Romain Jerome, freely admits to belonging to the generation of former SPACE INVADERS junkies. The game has become a legend for all those who grew up in the 80s, since it was the first « Killer app » for video game consoles installed in gaming arcades. The SPACE INVADERS craze even led to a shortage of 100-yen coins when it was first released in Japan. SPACE INVADERS with its pixelated figures was the first ever « iconic » form of entertainment: thousands of hours of TV programs and hundreds of cultural exhibitions have been devoted to this generational « legend ». 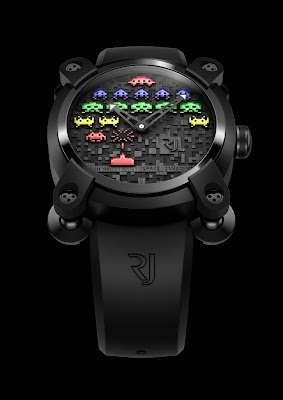 So why a SPACE INVADERS limited series from RJ-Romain Jerome ? One possible response – although the truth doubtless lies elsewhere – is that no other brand could have risked such a daring evocation of this epoch-making video legend. By agreement with TAITO Corporation (TAITO), RJ-Romain Jerome is paying tribute to late-20th century pop culture by launching a double limited-edition of SPACE INVADERS watches, designed like generational totems. By allowing the SPACE INVADERS to proliferate on the dial of these watches, Manuel Emch is proudly proclaiming the brand’s resolutely standout mission within the fine arts of contemporary watchmaking..." See here for more.